This is special equipment for dental technicians with dual-purpose of rough blasting and fine blasting. 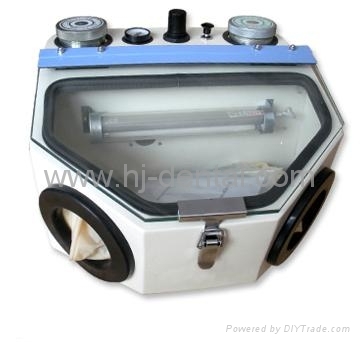 It is used for dental crown and bridge sandblasting treatment. It can use dual blasting and fine blasting two air-pens for cleaning.